I know golf betting has started to take off but with Charl Schwartzel at 3/1 you can get better odds for a football match between two teams! This is a tournament with over 100 players teeing it up – anyway rant over. Defending champion and four Top 10 finishes in his last six tournaments is why I am going for Branden Grace 8/1 again and a weeks rest back in South Africa is only going to help the Pretorian on home soil this week. 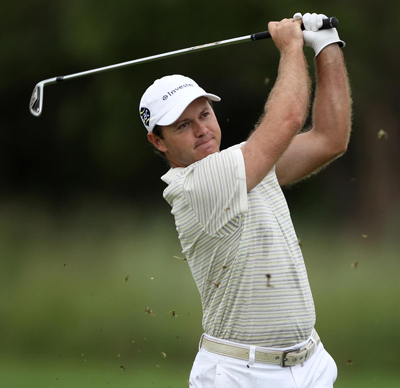 Another South African also from Pretoria is Richard Sterne 16/1 who had a great tournament at last weeks Dubai Desert Classic taking the runners-up spot. Richard is a past winner of this event back in 2008. He was also on a hat-trick of wins coming into this event the year after, but could only make tied twelfth. Steve Webster 28/1 has started this season in great form with four Top 10 finishes from his last six tournaments, which include a runners-up finish at the Nelson Mandela Championship and a Top 5 finish at the Qatar Masters. Steve only has two tour wins to his name, but seems to have found a new lease of life this season. If you have been following this guide regularly you will notice that Ricardo Santos 50/1 has moved out of the outside bet section and into the each-way tips section. Even the bookies know it’s not going to be long before the lad from that golfing oasis on the Algarve is going to win his second European Tour event. Lorenzo Gagli 80/1 finished last weeks Dubai Desert Classic on a high firing a final round 68 to take him into the Top 15. It’s been a steady if unspectacular start to the season from the Italian, with two other Top 25 finishes this season from his last five events, but I think Lorenzo could be the next Italian to step up to the plate. Andreas Harto 125/1 hit the challenge tour running in 2010 winning two of his first four events. He lost his European Tour card in 2011, but took third place on last years challenge tour. A Top 20 finish at last weeks Dubai Desert Classic after a couple of steady tournaments in Qatar Masters and HSBC Golf Championship and I think you can see this young Danish talent is moving in the right direction again.